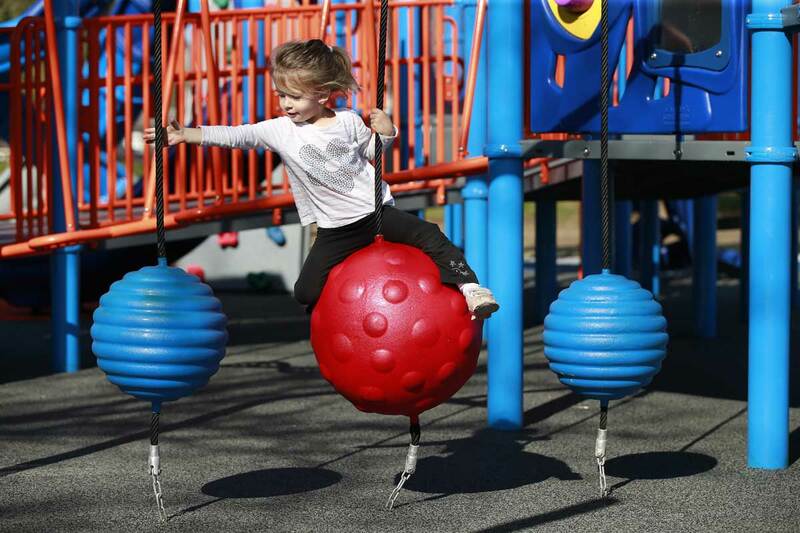 As playground designs became more adventurous with climbing walls, splash pads, etc., kids were given opportunities to expand their play and become more engaged. However, these new innovative designs, although exciting to look at and discover, were not built for children with disabilities. 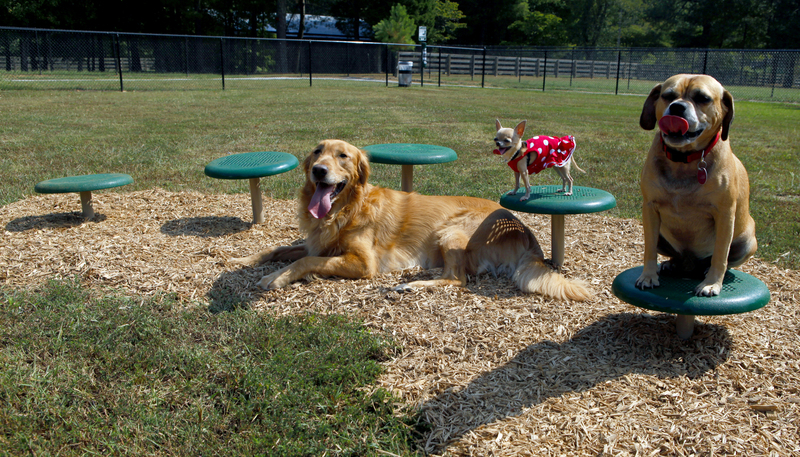 Separate playground areas were built to meet their needs. Compliant? Yes. Inclusive? No. The 1990 Americans with Disabilities Act (ADA) was revised by the Department of Justice in 2010. The revision, known as the 2010 ADA Standards for Accessible Design (“2010 Standards”), set minimum requirements for “newly designed and constructed or altered State and locacl government facilities, public accommodations, and commercial facilities to be readily accessible to and usable by individuals with disabilities.” (Americans with Disabilities Act) By spring of 2012, compliance with the 2010 Standards was required for new construction and alterations. This meant that playground designs had to be accessible to all children. Ramps, barrier-free travel routes, accessible play options, and an appropriate surface beneath the play structures were now mandated. These requirements allowed kids with disabilities to play right alongside their peers. Compliant? Yes. Inclusive? Yes! Companies such as Bliss Products, provide inclusive products that meet ADA guidelines for wheelchair access and special needs play. These products include wheelchair accessible site amenities and playground units, rubber or engineered wood mulch fall surfacing, as well as border access ramps for easy transitions into play areas. (Bliss Products) And not only do Bliss Products offer accessibility for children with disabilities, they also create opportunities for non-disabled kids to become acquainted with their disabled peers, thus becoming “open-minded, empathetic, and cooperative adults.” (HuffPost) Providing environments where children with disabilities can be given opportunities to experience fair and equitable play is what an inclusive playground is all about. While parks can play a valuable role in the community, the equipment placed within the park can be just as important. Companies such as Bliss Products and Services know the importance of playgrounds in communities and parks. For over 30 years, they have been the leading supplier of commercial playground equipment across the southeast, maintaining a strong reputation within the Commercial Outdoor Playground Equipment industry by providing a wide variety of products to meet the needs of city and community parks, schools, churches, and daycare centers. Play equipment from early childhood to age 12, dog park products, nature play schemes, and green solutions, as well as inclusive and special needs play are just a few of the products they offer. As cities continue to grow, it’s crucial that the importance of parks in urban development be remembered. From community pride to the economy to environmental impact, everyone benefits from neighborhood parks and playgrounds. And companies like Bliss Products are working hard to bring communities the best quality equipment to meet their needs. “Play is the highest expression of human development in childhood, for it alone is the free expression of what is in a child’s soul.” - Friedrich Froebel (Community Playthings). According to the National Association for the Education of Young Children (NAEYC), children learn through play. Cognitive skills are developed through problem solving and pretend play; running, swinging, and climbing increase physical abilities; language skills increase just through communicating with other children; and children learn to be social by playing together and having fun. Through play, children grow strong and healthy. Their anxiety and stress is reduced as they grow emotionally. They learn to establish and follow rules, many they create themselves as they devise new games. Play provides learning opportunities for children, which has a positive impact on their self-esteem. The benefits of playgrounds and parks are not limited to child’s play and building neighborhood camaraderie. 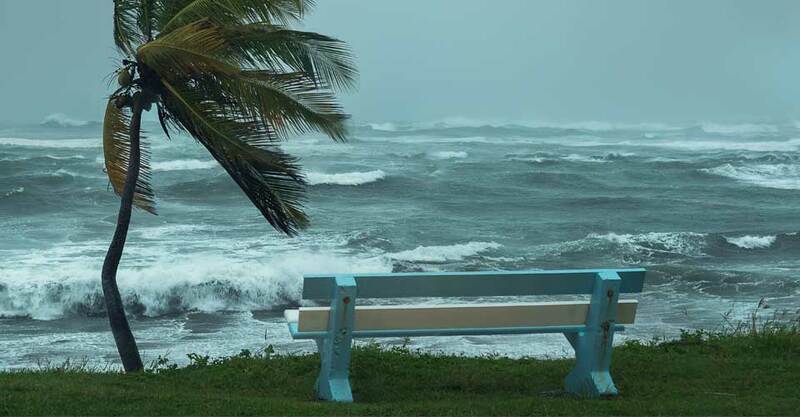 It has been found that spending time with new friends, participating in recreational activities, and enjoying nature are important in maintaining good mental health. Finnish researchers found that “ten minutes in a park or urban woodland are could tangibly reduce stress.” This is true for children as well. Playgrounds and parks afford parents opportunities to bond with their children. Pushing them on the swings, waiting to catch them when they reach the bottom of the slide…priceless memories. Bliss Products and Services knows the positive impact playgrounds have in communities. For over 30 years, they have lived up to their strong reputation by providing quality products to meet the needs of cities, communities, schools, and the people who utilize them. Their early childhood equipment and activities can be customized to fit specific needs, and are designed to stimulate the senses while keeping children entertained. Experts agree collaborative play is vital in the development of mental and physical health and social skills in children and adults. Important social skills are learned in collaborative play which carry over into adulthood. In recent years, communities have been actively involved in redesigning or creating recreation areas which will serve all groups of people; children of different ages, genders, and those with special needs. Parks can be an important public resource in improving the quality of life and physical well-being of a community. When a playground area is inclusive, these parks can provide the opportunity to create awareness, break down barriers, and build friendships. Often children need to learn strategies to learn how to play together. Play is a great way to help children understand a child with a disability is able to do many of the same activities, even if they have to do it differently. 1) Be Respectful - Respect similarities and differences. 2) Be Kind - Be warm, welcoming, celebrate accomplishments. 3) Be Patient - Ask before assisting; wait while they go at their pace. 4) Be Responsible - Signal an adult if you see a potential danger. 5) Be Trustworthy - Be dependable and honest. 6) Be Fair - Be creative to find new ways to include others. 7) Be Persevering - Keep trying when communicating and playing. 8) Be a Leader - Be a good sport, be friendly, and give them space. 9) Be Courageous - Invite all kids to play even if it is intimidating. 10) Be a Good Citizen - Show that kids of all abilities are valued. Important decisions need to be made before building the play area. 1) Be Fair- The equipment can be used by people of all abilities. 2) Be Included-Supports the participation of people with diverse abilities. 3) Be Smart- The play environment is easy to understand. 5) Be Safe- Provides graduated levels of challenge while being safe. 7) Be Comfortable - Environment is usable for individuals with sensory needs, diverse body size, posture, mobility and motor control. There is a difference between an accessible playground and an inclusive playground. According to the Americans with Disabilities Act, (ADA) an inclusive playground has no physical barriers, but not all components have to be wheelchair accessible. The playground's surface must allow ease of motion for wheelchairs. Adaptive swings, playground features accessible at ground level, and ramps which allow access at upper levels of the play structure are usually provided. Wheelchair accessible gliders and treehouses with ramps leading to and through the structure are now available. Some new equipment is designed to have an eight-foot ramp added to any structure. More than any other types of instruction, outdoor play has been proven to stimulate speech, cognition, gross and fine motor skills, and develop social interaction skills. The right equipment and surface can make all the difference in providing a safe, fun, and inclusive play area. Playground surface is another important element in designing inclusive playgrounds to allow children of all capabilities to enjoy a play area. Choosing the right surfacing will depend on your budget, the amount of use the playground gets, the ability to maintain the surface, needs for durability, drainage and accessibility.